MEDITE TRICOYA EXTREME Durable MDF is a groundbreaking construction material. The panel exhibits outstanding durability and dimensional stability which allow them to be used in applications once limited to products such as concrete, plastics or metals. With the added benefits of light weight, sustainable raw materials and a guarantee of up to 50 years above ground and 25 years in ground, these groundbreaking panels provide architects, specifiers and designers with an entirely new construction material, allowing great design flexibility and endless opportunities for creativity. 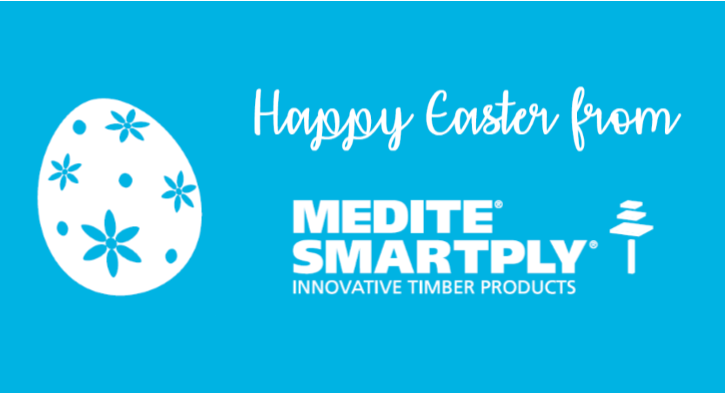 The combination of acetylated wood fibre with the manufacturing technology of MEDITE MDF means it may now be used in situations and applications where normal MDF panels cannot. However, MEDITE TRICOYA EXTREME maintains all the design, fixing, machining flexibility of medium density fibreboards. Using sustainably sourced FSC® timber, MEDITE TRICOYA EXTREME is made using a high-performance resin which has zero added formaldehyde in its formulation, ensuring the product is suitable for environmentally sensitive areas. MEDITE TRICOYA EXTREME is a revolutionary wood based panel product, enabling its use in applications and environments that could not previously be contemplated. The raw material for the panel is modified to give outstanding dimensional stability and durability using a non-toxic environmentally compatible process. Many of the benefits observed in solid acetylated wood, including enhanced dimensional stability and durability and fungal resistance hold true for MEDITE TRICOYA EXTREME. MEDITE TRICOYA EXTREME is also made using a high performance resin which is zero added formaldehyde, which makes the product not only exceed EU E1 but also CARB2 compliant. BBA Assessment: As from June 2012 the British Board of Agrément has concluded that MEDITE TRICOYA EXTREME is satisfactory for internal and external use as a non-structural general wood based product. It is considered that this could form the basis of an assessment leading to the award of an Agrément Certificate after full commercial production is established. BBA Assessment number M2/49109. The functionality and versatility of wood-based composite panels give them universal appeal. When properties such as high strength, light weight, good insulation, excellent machinability and ease in use are required, MEDITE MDF is the ideal choice for many applications. The potential applications for MEDITE TRICOYA EXTREME are far ranging and will inspire creativity and discovery, particularly in environments where humidity and weather are usually concerns. Given the design flexibility of MDF, it is now possible to imagine MEDITE TRICOYA EXTREME used virtually anywhere. If you are a RIBA Architect and would like to learn more about specifying Extreme Durable MDF, you can now complete an online CPD to gain valuable knowledge on this topic. - What is wood modification via acetylation method? - What is Extreme Durable MDF? - What tests have been done on Extreme Durable MDF? - What are Extreme Durable MDF leading uses? If you would like to complete this CPD please click here.